Thriller in which a cannibalistic killer becomes romantically involved with the sister of one of his victims. 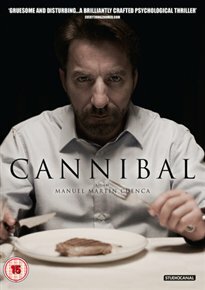 Carlos (Antonio de la Torre), a reputable tailor from Granada, Spain, is also a sadistic killer who preys on young immigrants without papers and afterwards cooks their flesh for his dinner. When Romanian Nina (Olimpia Melinte) turns up looking for her twin sister, who has already been devoured by Carlos, he realises he has the capacity to love and care for someone. He begins to feel remorse for the violent acts he has committed but can he really change his ways?